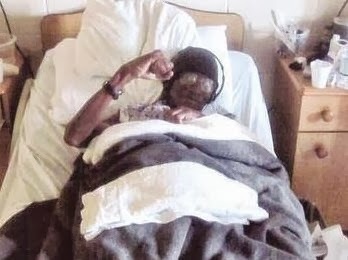 Herman Wallace, a murder frame-up victim, spent 41 of his 73 years in solidarity confinement at the notorious Louisiana State Penitentiary at Angola. He was released from prison just three days before his death from liver cancer, Oct. 4 in New Orleans. The prison warden had initially defied a federal court order authorizing Herman’s release but finally relented after the judge threatened him with contempt of court. In 1972 Herman Wallace had been serving a sentence at Angola for armed robbery, when a correctional officer was stabbed to death in a prison uprising. In a trial two years later, Herman and two other prisoners were convicted of involvement in the killing despite a lack of evidence to that effect. Wallace and his co-defendant Albert Woodcox had been members of the Black Panther Party and consistent organizers for better prison conditions. In a monstrously vindictive gesture, on Oct. 3—the day before Herman Wallace died—a grand jury in Louisiana’s West Feliciana Parish re-indicted him for the killing of the prison guard. I spoke with Robert just a week after his release. A more gentle, insightful, intelligent, and dedicated fighter I have rarely met. His spirit remained unbroken as he continued the fight for the freedom of Herman and Albert Woodcox, the third member of the Angola Three. Woodcox is still in prison although a federal court has overturned his conviction three times. Like Mumia Abu-Jamal, Herman has been a stunning example of why capitalism is incompatible with human freedom and dignity. We will never forget Herman Wallace. His exemplary struggle lives on in our daily efforts to mobilize the entire working class to abolish this predatory system and replace it with a socialist society, where the very concept of “criminals” will have disappeared from the earth. > The article above was written by Jeff Mackler for Socialist Action newspaper.